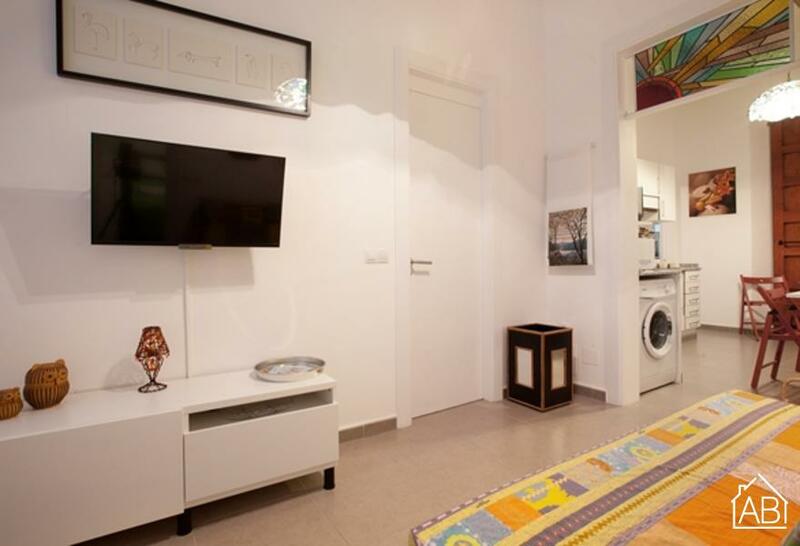 This spacious and comfortable three bedroom apartment is located in the beach area of Barceloneta. Situated close to the many bars, cafés and restaurants that line the beachfront, as well as being only a short walk from the city center, this lovely apartment is in an ideal location. This apartment can accommodate up to six people. The living room in this apartment a comfortable sofa and a TV, allowing you to kick back and relax. The kitchen is fully equipped so you can prepare your home-cooked meals . The apartment also provides a washing machine and a hairdryer. The main bedroom has a double bed with plenty of storage space, while the second and third rooms both have two single beds each. The apartment has two bathrooms.